North Carolina Cooperative Extension gives our county’s residents easy access to the resources and expertise of NC State University and NC A&T State University. Through educational programs, publications, and events, Extension Agents deliver unbiased, research-based information to New Hanover County citizens. Open daily from dawn to dusk and no admission fee. The Arboretum is a unique, 7-acre park with FREE admission, in the heart of New Hanover County where homeowners can see the variety of plants that grow in our coastal area as well as emerging trends in plant material. Cooperative Extension’s “horticulture laboratory”, the Arboretum has a very knowledgeable staff and many volunteers working to make the gardens beautiful and educational. Come out and discover what makes us so extraordinary! 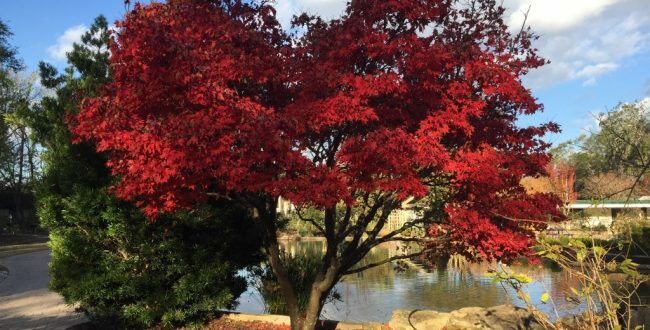 The Arboretum is open to the public and is FREE! Let’s pay it forward and help others who may not have access to fresh produce, while supporting local farmers. Come and visit us at the Tidal Creek Farmers Market (5329 Oleander Drive) tomorrow from 8am-1pm. The New Hanover County Cooperative Extension is launching Donation Stations at local farmers’ markets as a way for the community to engage in supporting local food and food security efforts. The gardens will be open tomorrow but the administrative offices will be closed for the holiday. On Saturday the grounds will close at 4pm for a special event and will reopen Easter Sunday for your enjoyment. Spring adds new life and new beauty to all that is. Could today be more perfect! What an incredible Spring in the Ability Garden! After a wonderful weekend of fairy gardens, this weekend we are having a great time at the Master Gardener Plant sale! If you missed the Fairy Gardens, we still have a few gardens on display, Woodland Whismy, Jurassic Park, Friendly Neighbors, Fairy Tea Party, Fairies of 3 Swamp, Master Class with Hiroshi, Mountains to the Sea, Wheels in the Garden, and The Garden in Bloom. Enjoy fairy and the plant sale. New Hanover County Arboretum's Master Gardener Plant Sale is going on now through Sunday! It's free & open to the public with 7,000+ plants available for purchase. Check out some of the photos from this year's sale: flic.kr/s/aHsmCobhNe. Are you a 4-H alumnus? Reconnect with 4-H, find out what's new and how you can get involved. Are you ready? Only a few days now until the plant sale. Preparations are well underway. What plant is at the top of your must-buy list? Comment and share to win a $10 gift certificate. Winner will be drawn Wednesday at noon. Come meet our new friendly neighbors and enjoy the creative displays. There are a few more hours before the gardens close at dusk. Garden Tour tickets will be required for admission starting tomorrow through Sunday.